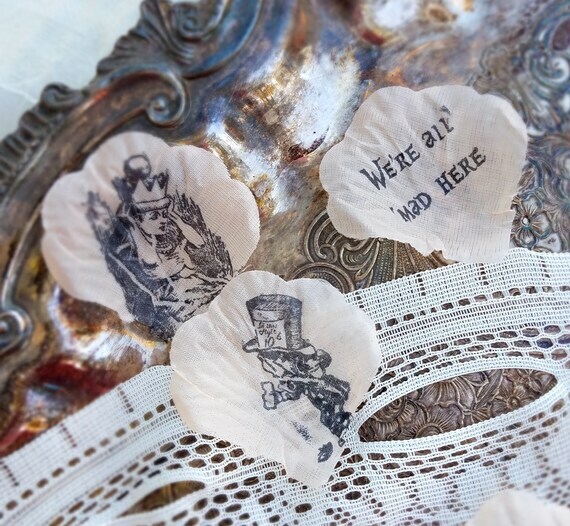 Our Alice in wonderland Confetti petals are perfect for adding a unique and creative touch to your Mad Hatter Tea party. They are wonderful to sprinkle on your guest tables, cake table and gift table. They also are a wonderful confetti addition to favor gift bags for a little something extra . With each petal measuring approximately 1 3/4”, and 100 petals in each bag this product will make a unique addition to your party decor- These petals are in a champagne color.